Gently textured finish on this simple circle adds an earthy flair to the dainty piece. Entirely Sterling Silver. 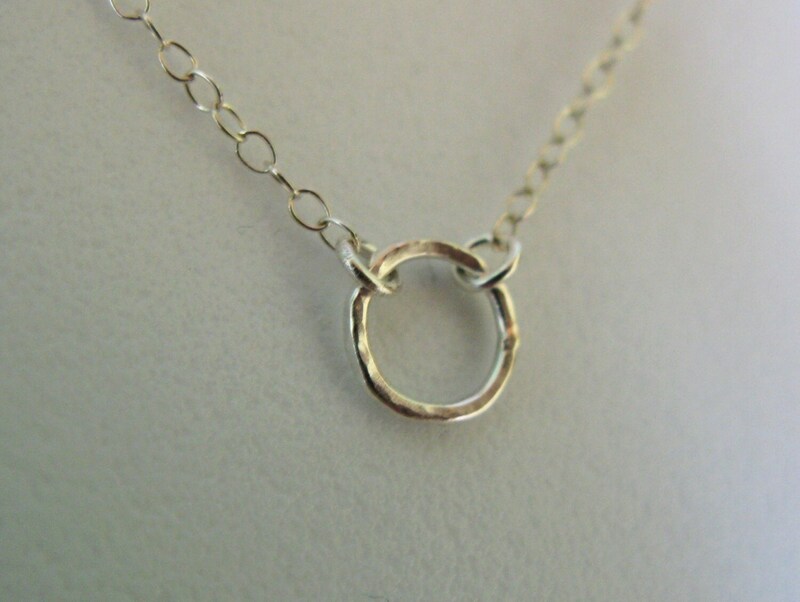 Tiny 1/3" Baby Circle pendant, suspended from 16" round link chain ending in a circle clasp. Please note that each circle will be slightly different. Versatile for every day wear. Custom length at request. Available in smooth finish. Absolutely pleased with this necklace! Very feminine and very well made. Just right! Thank you.